What makes upscale chai dhabas so popular and will they be sustainable in the long-run? 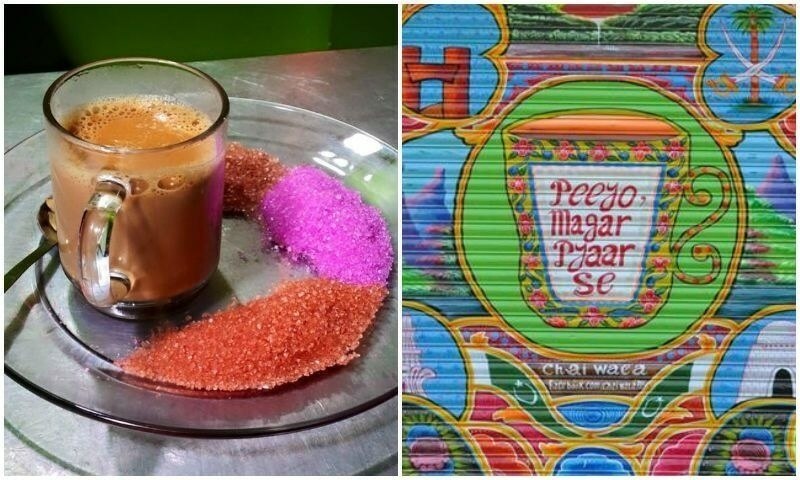 Despite the love and high consumption of tea in Pakistan, for a long time there were not many tea places which catered to families and the middle-class in Karachi. The numerous chai khokas scattered across the city are mostly frequented by blue-collar workers or young men, seldom, if ever, accompanied by families. The hygiene and quality control exercised at these khokas is questionable, especially when it comes to the raw ingredients used, seating area and utensils. This was the gap which Aized Suharwardy decided to tap into when he established Chai Wala – the first of the many ‘upscale’ outdoor tea dhabas in Karachi – in November 2014. Suharwardy, who had returned from Melbourne after completing his studies, says he was inspired by the roadside cafés in Australia and wanted to implement something similar in Karachi. After an initial six months of brisk business, Chai Wala shifted to a bigger place in the nearby ‘chota’ Bukhari Commercial Area – and later opened a second branch in Clifton. 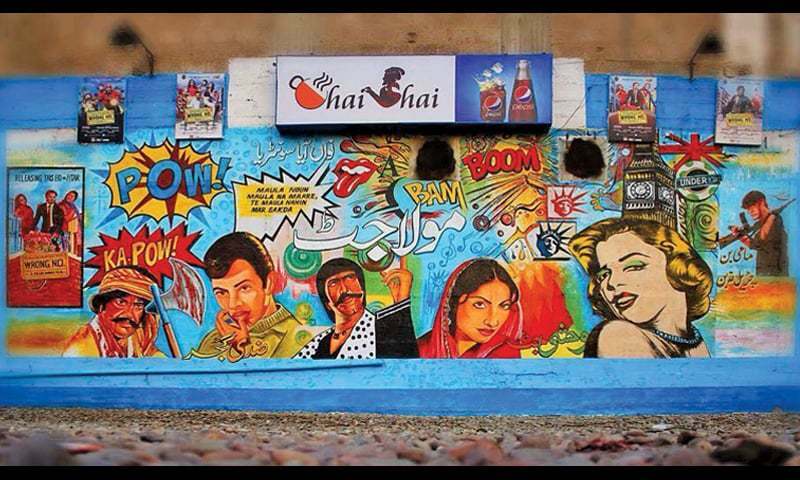 Following suit, Chai Shai, Chotu Chaiwala and Lollywood Café opened in the vicinity in 2015 and 2016. 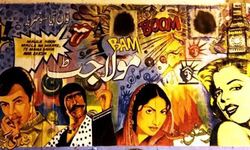 The trend then spread to other parts of the city as well, with Café Prado, Chai Deewari and Sangat (among others) opening in Gulshan and Gulistan-e-Jauhar. Three years down the road, it can safely be said that upscale chai dhabas are not a fad, but signal an established consumer trend. Like regular khokas, tea and parathas are the main menu items these dhabas offer. However, two factors make them stand out. One, the variety on offer and two, the quality of the ingredients. Apart from the standard doodh patti, karak and elaichi chai, the tea menu includes options such as Cadbury, zafrani, Kashmiri, masala and cinnamon tea. According to Shahnila Awan, Co-Founder, Chai Shai, increased exposure has made Pakistanis more experimental and attracted towards novelty. As far as formulating the tea recipes is concerned, Awan admits that it’s rather ad-hoc – family recipes, researching online, trial-and-error with ingredients’ proportions, testing out new flavours on family and acquaintances. A sizeable chunk of revenue comes from the range of parathas offered. Apart from regular desi varieties (zeera, anda, aaloo and qeema paratha), ‘gourmet’ parathas have been introduced and include BBQ cheese, Mexican pepperoni pizza and Nutella. Suharwardy again attributes his travel experiences and curiosity in trying out new combinations, and being a “daring foodie” which resulted in these ‘gourmet’ or fusion parathas. ####Like regular khokas, tea and parathas are the main menu items these dhabas offer. However, two factors make them stand out. One, the variety on offer and two, the quality of the ingredients. Apart from the standard doodh patti, karak and elaichi chai, the tea menu includes options such as Cadbury, zafrani, Kashmiri, masala and cinnamon tea. Suharwardy and Awan worked closely with their cooks when conceiving new paratha recipes. 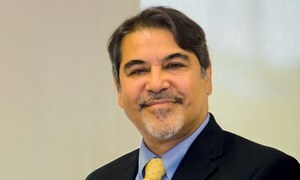 “Pakistan lacks quality culinary institutes that teach food sciences, hone the art (and science) of creating new recipes and most importantly, experiment with desi cuisine – there is so much potential to create fusion with our spices and recipes,” Suharwardy says. The tea and parathas at these dhabas come at a premium. A cup of tea ranges from Rs 80 to 200 (for ‘exotic’ flavours like zafrani chai). 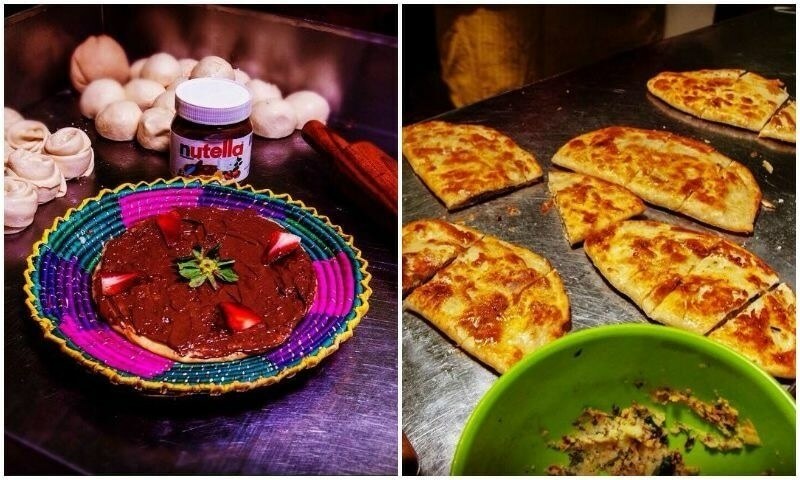 A Nutella paratha or a ‘hummus’ paratha costs on average Rs 200, and parathas such as BBQ chicken and ‘The Mexican’ will set customers back Rs 300. Even the desi range is pricey – a plain paratha costs Rs 100, and qeema and aaloo parathas are between Rs 180-200. In comparison, at a regular khoka, a plain paratha costs around Rs 25 to 35, while aaloo or qeema paratha don’t cost more than Rs 60. Adeel Mirza, Co-Founder, Café Prado, thinks the experience justifies the price. From a customer perspective, price does not seem to be an issue; rather the concerns are security issues due to outdoor seating. According to a young woman who is a frequent visitor to Chai Wala and Chai Shai, the family-friendly environment and variety of food served is a definite puller. According to Suharwardy, in three years, Chai Wala has grown seven-fold (it currently has two branches), and the average production volume has gone up eight times. Furthermore, he has established partnerships with raw material providers (the company gets its own blend of tea leaves from a tea exporter) and employs 50-plus people, compared to the four when he started out. 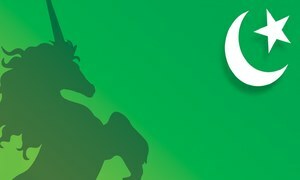 Chai Shai has a similar growth rate, reporting a year-on-year growth of at least 20%. Awan now wants to establish structured employee growth plans and provide them with training, yearly bonuses, medical and other benefits. Café Prado, which opened six months ago, is still in the initial phase of establishing a name; however, Mirza is hopeful the café will become the go-to hangout spot for people in the Gulshan and Jauhar area. Although these ventures into tea and parathas are proving their business viability, a few areas need to be explored further for their long-term sustainability. A clear opportunity is looking at avenues such as catering and setting up kiosks/pop-up stalls at events such as fairs and weddings. 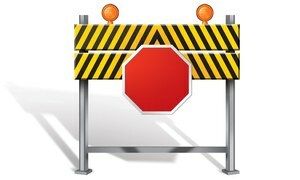 These can be additional sources of revenue as well as a means of brand exposure. Another area is to establish partnerships with suppliers of milk, ice, tea and flour, along with franchising – both within and across cities. So, exciting times are ahead for these tea and paratha entrepreneurs. Great ideas always pay off. Congratulations to these entrepreneurs. I miss my beloved Karachi. Bhai, call me misogynist, male chauvinist or anything. I will never go to a Dhabba where families hang out. Dhabba is for boys only, hands off my dhabba. @Qaiser OK. As requested, I hereby call you a misogynist and male chauvinist. Dhabba is for everyone who chooses it. If you choose not to attend dhabbas where families hang out, their experience can but be enriched by your absence and that of any others who share your narrow minded views. @Qaiser.. i kind of comprehend what qaiser is trying to say. he is trying to say that we go to dhabba sometimes to be utterly blunt, outspoken and candid to our core with one of our ilk. if we(boys) are surrounded by families than we have to control and restrict our self and not kind of enjoy the way we enjoy being carefree at these dhabbas.. well family dhabbas should be appreciated and it is entirely a different ball game so dont judge qaiser by his words(@ illawarrior) . he didn't mean to say what he wrote. Here in the USA, these dhabbas are alive and kicking as well. We have several in New York and greater Chicagoland often serving desi cabbies. I miss my Karachi though. Best paranthas are made by wife. Aaloo parantha, Gobhi parantha, Mooli parantha, Mutter parantha, Plain parantha and so on. With lots of home made butter and Mirchi or Mango pickle. And then Chai. Chai must be boiled for 10 minutes, with lots of milk. Best time 10 AM Sunday morning. And no lunch (who needs it after 4~5 paranthas!!). You indeed are a misogynist if you think such places are only for men. Thankfully these trends disregard such backwardness. 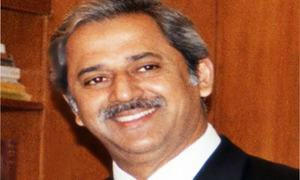 most of the restaurants were closed in karachi . there was no place for people to sit in the evening plus whole day . these road side cafa are like club you go with your friends and socialize , they are affordable as per their areas , although not clean but service is good they will improve . Does anybody remember the famous Tea House of the Mall Lahore? It was the favourite meeting spot of intellectuals as well as the leaders of Pakistan movement in pre Partition days. @Qaisar, You don't want to sit in the company of families and children enjoying themselves. You're a Sadist. What do you do at your Home? Can't you just shut your gab for 30-45 mins. at the Dhaba and relish the food and Chai? The roadside dhabas are really a hit in Karachi among families as a simple visit there reveals that these are more popular among females than males and there is excellent environment with no intrusion from strangers even when everyone is packed in a relatively small open plot. However, I'd say it would be very difficult for families (females) to go to such dhabas in any other city in Pakistan (including Lahore) as everyone just stares there once they see a female around and pass remarks like 'subhanallah, mashallah etc'. So this idea is Karachi specific only. Please excuse my ignorance- in my opinion the modern day Dhabba is the extension of old "Café-de Phoonse". The younger generation may not recall the first such café at University of Karachi (new campus) in 1960, when it moved from the old campus in downtown. Here young adults (male, female) and mature university staff sat on ground, grass......, and socialized, and developed long lasting friendship , relationship.. Enjoy your dhabba with families. I never went to these road side Dhabas due to security reasons. Though after Rangers have put up their feet, but what has happened in Karachi in the past does not even permit me to sit in the road side Dhabas made in open areas. Dhabas cannot be upscaled until all food selling places stop selling bacterias and viruses in any form., and all dhabas and restaurants including five star hotels sell all food absolutely clean and healthy for all, as it is done in the USA or any other developed countries.